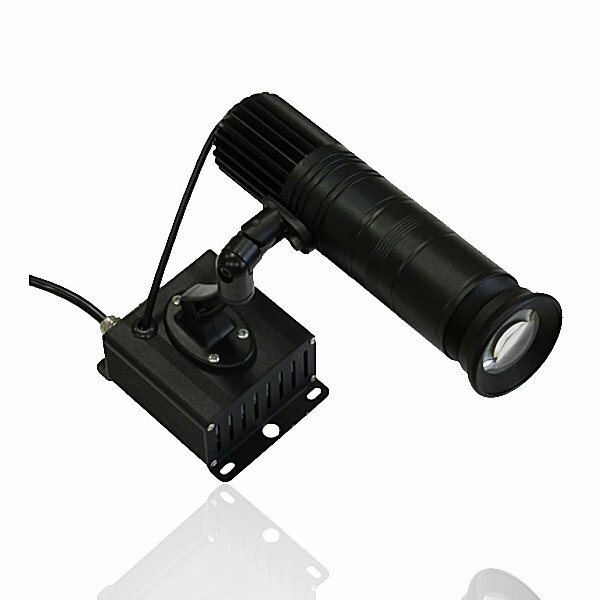 Suitable for higher brightness location: some restaurant,coffee shop,movie theatre,private chamber, conference etc. 1. Outer cover is made by rustproof aluminum alloy. 2. Several cover colors for your option: black, gray, silver, blue and red. 4. Adopting environmental & high efficient LED light source. 5. One projector film, can replace Gobo manually. 6. With fan cooling, keep lighting surface temperature be consistent with ambient temperature. 7. Light projection direction: 360°(Level), 180°(Vertical).